Feeling stressed or over-stretched at work or home? Learn why a healthy work-life balance is so important, and read five ways to find the right one for you. Over the years we’ve lost count of the number of articles we’ve read (and published!) on work-life balance. And with good reason. 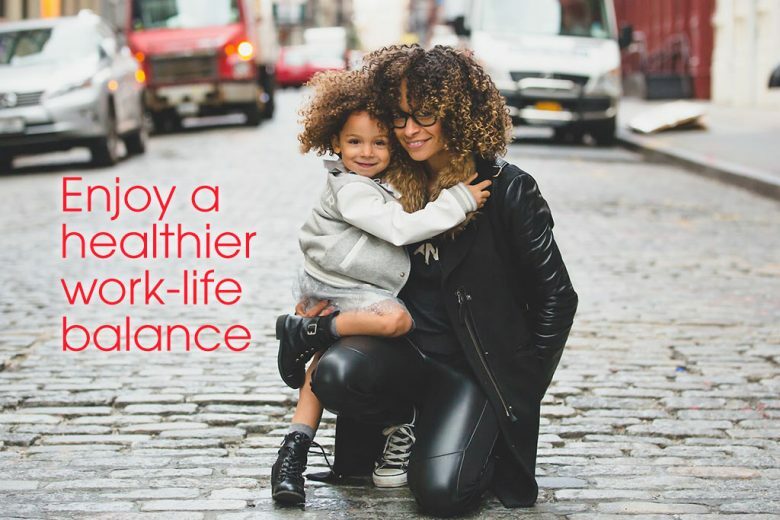 A healthy work-life balance is essential for your mental and physical wellbeing, as well as your career and the happiness of your family. Don’t worry, we’re not suggesting you seek a ‘perfect’ work-life balance, because there’s no such thing. What works for you today may not work for someone else – or even be right for you tomorrow. Rather you need to find a balance between the areas of your life that sustains you today. That enables you to stay physically and mentally healthy, and ensures you enjoy your life – and have enough energy to meet the needs of the people in it. To help you find a work-life balance that works for you right now, counsellor and hypnotherapist Susan Leigh shares her advice. When things are going well in life, it’s easy enough to get by with lifestyle habits that aren’t as healthy as they could be. But when we encounter times of stress, our work-life balance can be affected and we start to feel stressed, resentful and frustrated with life. We may need to deal with an urgent work situation, staffing levels may be inadequate or we find that it’s important for us to intervene in a domestic matter, and we become stressed through being pulled in many different directions. If this is an occasional or emergency situation we may be able to accommodate it for a while. However, if this becomes a way of life, goes on for too long or becomes our regular fire-fighting response we may need to look at other options to support a better work-life balance and bring some peace of mind and harmony back into our lives – and avoid burnout. Many people find that hypnotherapy helps to reintroduce a better sense of balance and support the ability to cope in a happier, more positive, less reactive way. But it’s also important to ensure that you take care of yourself on a day-to-day basis and practise a healthy work-life balance. Here are five ways you can find a work-life balance that’s right for you. Balance in life starts by taking care of yourself. When we’re stressed and out of balance it can affect our quality of sleep, libido, sense of humour, positive perspective, ability to cope… the list goes on! 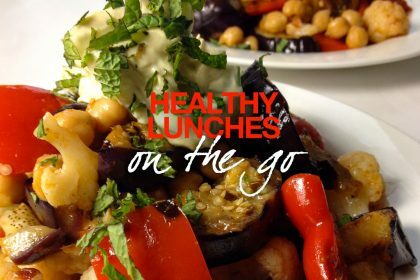 In order to achieve a healthy work-life balance you need to take care of yourself nutritionally, stop for regular, healthy food breaks, drink water, get exercise and fresh air, and have fun. Start by weighing up what’s really important to you, what you need to support your ability to take good care of you and enable you to maintain a healthy balance in the different areas of your life. And recognise that there may be a need for additional help. Consider paying for cleaning, laundry or the gardening to be done by someone else. Delegate tasks or ask for help and even if they’re not done to your exacting standards, relax and appreciate the input. It can be tempting to appear ready and willing to do everything that’s asked of you – to take on more and more work or accept invitations to every function you’re invited to. But sometimes it’s important to weigh up the pros and cons of these different requests. Small businesses understandably often have a feast or famine mindset. 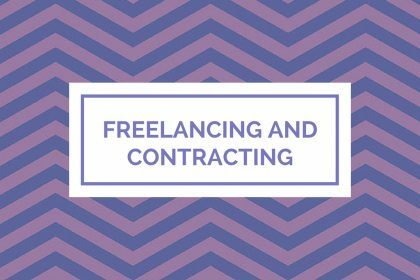 When work requests come in they’re often automatically accepted because of the requirement to earn money and establish good relationships with existing or potentially new customers and clients. But learning to say ‘no’ sometimes can help you to maximise on the use of your time and energy. 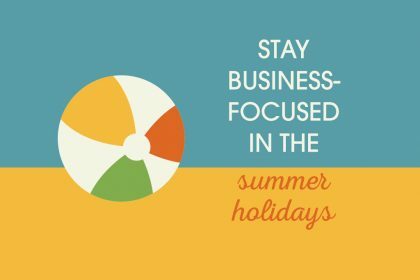 It enables you to use them in the best possible way, to look after your existing business well, focus on what’s right for you, prioritise, give each piece of work, offer or opportunity your full consideration and focus clearly on how it meets your longterm goals. ‘No’ can teach co-workers, family and friends not to rely on you for everything and, if necessary, to become a little more independent in their thinking and more confident in their own abilities. It also teaches them that while at times you may be amenable to their suggestions, go along with their wishes and/or demands, you are also deserving of respect, entitled to have opinions of your own and have a say in any decisions, plans and arrangements. Are your motives on track, or are you over-committing in order to be seen as popular, busy or indispensable? Take some quiet time and check what your gut or inner voice is saying. Taking on too much or agreeing to do things we don’t really want to do may take us out of our comfort zone and encourage us to develop and grow, but the motivation to maintain that effort comes from the excitement, enthusiasm and positivity we feel in following genuine, heartfelt goals, hopes and dreams. Work-life balance includes putting yourself in the diary on a regular basis. It means planning some quiet time, time to read a book, to go for a pleasant walk in the countryside or to the beach – anything that sustains and re-energises you. Arrange a spa day where you have to leave your phone behind and are unavailable to be contacted unless there’s a real emergency, make time to enjoy your hobbies and interests, or even just organise a day or night out with girlfriends. You may be surprised at how much more energy you have for work when you enjoy precious time away from it. When you stop working each day, make sure you really STOP. Decide to finish work each day at a reasonable time, and turn off your work phone and computer. Be strict about it, dedicating time to yourself, your family and friends. These personal areas deserve to be treated as important, respected and valued by you in order for them to thrive and enjoy a significance in your life, so that you achieve a healthy work-life balance. As tempting as it can be to ignore this advice in busy or stressful times, it’s essential that you do look after yourself in healthy ways – and avoid relying on cheap, quick fixes that just leave you running on empty – and facing burnout. 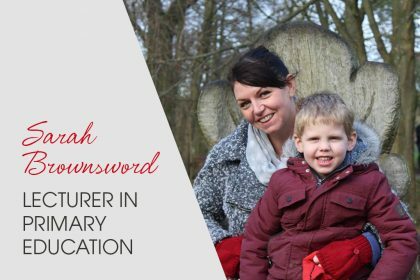 Susan Leigh practises lifestyle therapy, counselling and hypnotherapy in Altrincham and Cheshire. Find out more on her website. 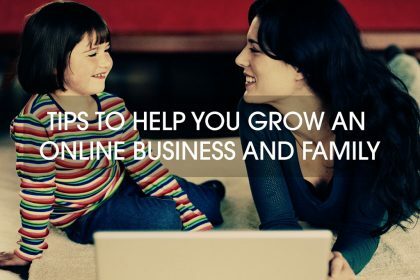 Five tips to help you grow an online business AND family! 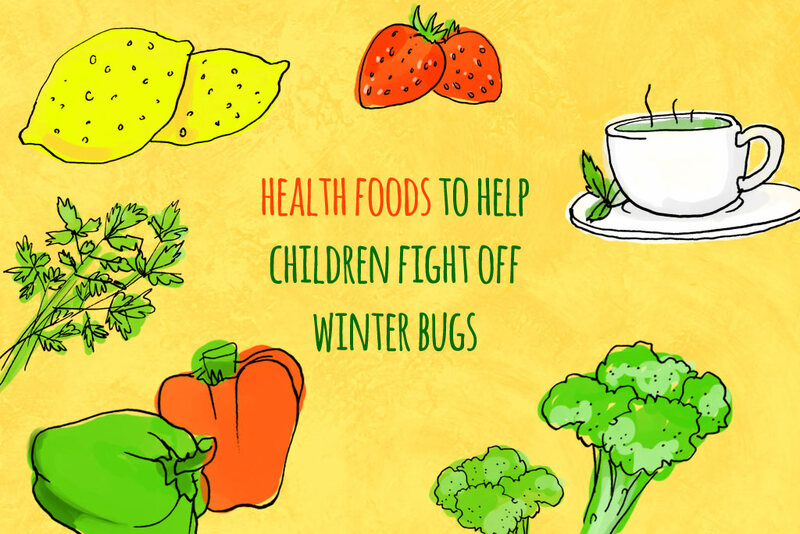 What ‘health’ foods will help my children fight off winter bugs?